I know quite a few dog trainers in our area and I’m happy to say that I really enjoy sharing tips and tricks with them. Dogs, like humans, are individuals. We can get a lot of knowledge in a general sense by working with a few dogs, but because of time constraints, we can only have direct experience with a limited number of individuals. Anyone who trains for a living is going to have some experience to share that increases my knowledge and raises my competence. I am fortunate to have a friend in a truly gifted trainer right in our back yard. She is highly skilled in training for Agility which is one of the dog sports where I have no experience. That’s why I was so excited when Kari Hammargren invited me to bring Diesel to her training facility in Graham. On Saturday, for the second day in a row, Diesel loaded into the cab of my pickup with no fuss at all. He settled right down as we headed for Kari’s place in Graham, about 20 minutes from Muck Creek Kennels. We arrived after the usual Saturday class had gone home, but Kari was extremely generous with her time. She dropped everything and opened the facility for us so we could try out some of her agility equipment. Kari had us start out with a few easy things, a low A-frame, a wobble board and some short jumps. Diesel breezed right through this stuff like he was born for it! After we got through the easy-peasy stuff, Kari let us into a fenced area with a tall A-frame, a tunnel and a dog-walk that you can see in the photo above. I was impressed with Diesel’s confidence and his willingness to try all this new stuff! I guess we were at Kari’s place for about 45 minutes. By the time we loaded up and headed for home my face was sore from smiling so much! Wow! That was fun! 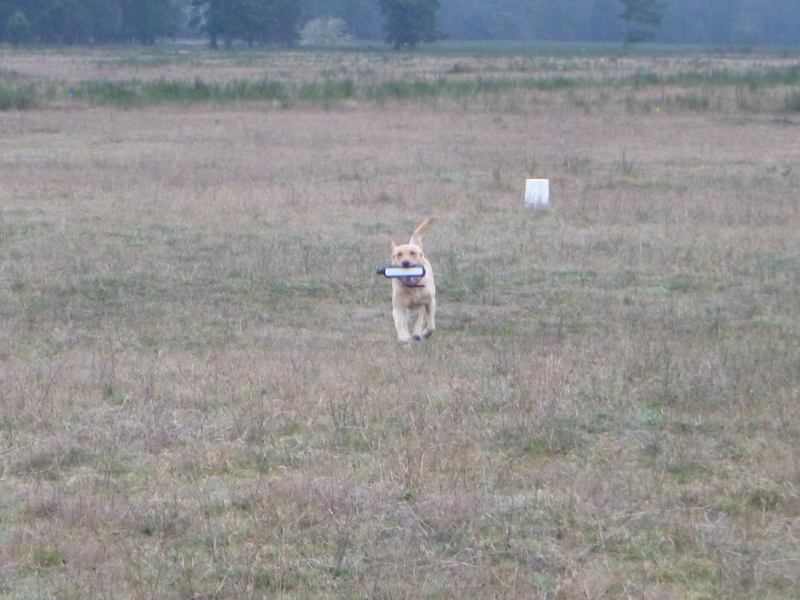 One of the coolest things about Agility is the way this activity brings out the personality of the dog. Diesel’s goofiness was in full bloom and it was a joy to watch him do his thing. 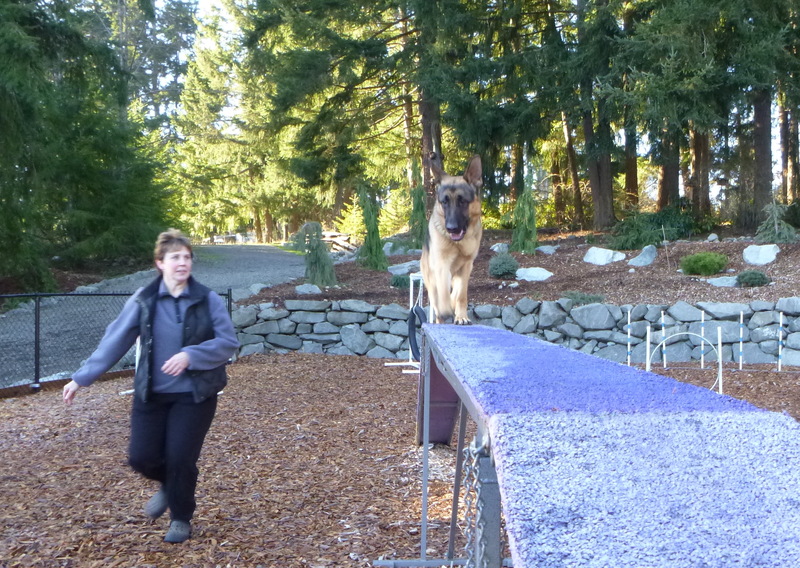 I can heartily recommend Kari to anyone who wants to get started in Agility. Her number is 253 302 0856. Thanks again for having us over, Kari. We’ll be back!